The gallery has been updated with captures of Dakota Fanning from Episodes 1 & 2 of The Alienist. Go there and enjoy! I have added a lot of new photoshoots of Dakota Fanning from 2018 to the gallery. Go there and enjoy the great photos. If you like the updates and want to help this site to keep alive and get all the stuff, please, feel free to go here to donate. Every little bit helps. Past August, Dakota covered Dujour Magazine. Now, I have added the scans to the gallery. Dakota Fanning attends the 70th Emmy Awards at Microsoft Theater on September 17, 2018 in Los Angeles. You can go to the gallery to take a look to the photos. She looks beautiful! If you like the updates and want to help this site to keep alive and get everything, please, feel free to go here to donate. Every little bit helps. First of all, I am so sorry for don’t update before. It was not my best summer and didn’t have the time to update often. Well, I would like to let you know that you can save our new url for the site dakota-fanning.com because it is going to be the main domain. Don’t forget this. And I have added the latest photos of Dakota Fanning to the gallery. More are coming soon. I have added the scan of Dakota Fanning for W Magazine, August 2018 issue. Go to the gallery to enjoy! 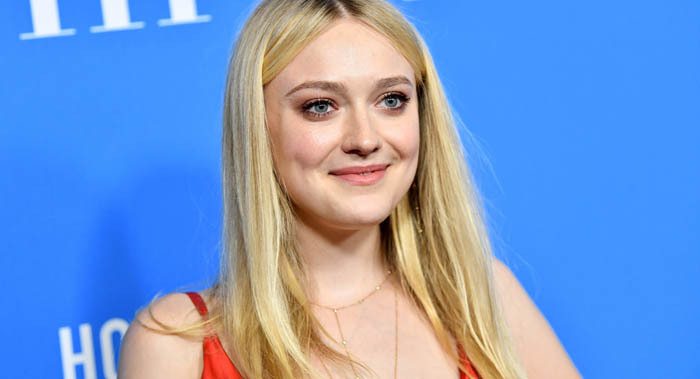 Dakota Fanning attends the Hollywood Foreign Press Association’s Grants Banquet at The Beverly Hilton Hotel on August 9, 2018 in Beverly Hills. You can go to the gallery to take a look to the photos.